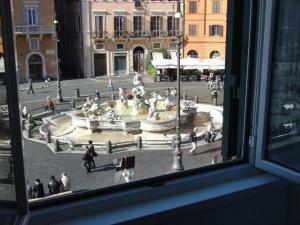 The number of B&Bs in Rome seems to grow each year. Bed and breakfast accommodation has become a real success story in Italy, and in Rome there is a very wide choice of B&Bs for travellers. The most obvious advantage is price: you can generally find B&Bs which are cheaper than even budget hotels. Frequently a B&B will provide more for your money: a friendlier atmosphere, nicer surroundings and a feeling of being 'at home' in this lively city. Some B&Bs go further, offering exclusive, boutique accommodation in the most fashionable parts of town, though you can expect to pay a high price for their classiness. There can be a few drawbacks to staying in a B&B in Rome. You probably won't have the range of services and facilities that you would find in a hotel. There may not be staff on-site all the time. Depositing your baggage on arrival or departure could be tricky. You may have to make advance arrangements for checking in. Despite the name 'bed and breakfast', you may find there is very little in the way of food provided. And although many guests will like a 'home from home' atmosphere, and maybe having their own front-door key, others may miss the buzz of a hotel bustling with fellow guests. B&Bs range from a couple of rooms in a family flat to guest houses which haven't been officially categorised as hotels but which offer a similar service. Some bed and breakfasts will offer the additional advantage of communal tea and coffee-making facilities, or a kitchenette allowing for a more independent stay. Occasionally rooms have shared bathrooms; this should be stated in the B&B description. After reading the descriptions of the B&B, I would strongly recommend that you click on 'reviews' and see what past guests have commented. Pay attention to what they have to say about the location and about the service. Check maps, too - since many cheap B&Bs lie in residential areas, you should note the distance from Rome's tourist sights and be realistic about how centrally you need to stay. Check whether the establishment accepts payment by credit card, as some smaller places require payment in cash. Finally, since B&Bs usually have just a few rooms, you should really plan your trip and book accommodation as early as possible in order to find availability. A good B&B fairly near the Colosseum, run by a friendly Peruvian. Some very good deals are available online (our reviewer booked in August for €50). 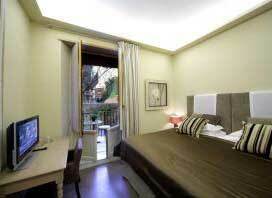 1 Via dei Valeri is a stylish and modern B&B with good, well-furnished bedrooms. It's located around the back of the Celio hill, a bus ride or a walk from the historic centre of Rome. I have found some bargain short-notice rates for the B&B's rooms online using the links below. This B&B is situated in the tourist heartlands between Via Nazionale and Santa Maria Maggiore, not far from Stazione Termini. With six comfortable rooms and tea and coffee-making facilities, it's a good place to stay for theatre-goers (the Teatro dell'Opera is a couple of streets away). Crossing Condotti is another exclusive and expensive (posh and pricey) place to hole up for a luxurious break right among Rome's designer shops and boutiques. This is a residence in a prime central Rome location near the Spanish Steps, with 5 beautifully-appointed rooms, although no breakfasts. 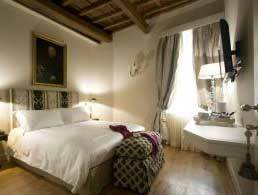 Relais Palazzo Taverna is a really nice B&B with eleven attractive rooms in the Centro Storico. 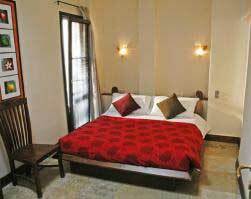 Contemporary style, free wi-fi, it costs more than some hotels but is a comfortable and special place to stay. This is a small miminalist-styled B&B actually overlooking Piazza Navona - it may be a busy tourist site, but you could hardly find a more exciting or central location. 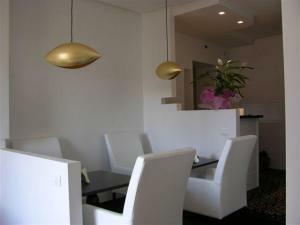 Rooms are modern and elegant; breakfast is taken at a cafe on the square. Comfortable rooms (all ensuite or with private external bathroom) in a convenient location for visiting the Vatican. It's a clean and smart place to stay, though travellers should note there are lots of stairs to climb. Merulana Inn is a B&B with modern, well-equipped rooms in a good location near Stazione Termini and the Basilica of Santa Maria Maggiore. Another of the 'expensive and exclusive' category of B&Bs, Casa Montani is a very stylish and luxurious place to stay. It is situated by Piazza del Popolo, one of the most attractive squares in Rome, and is a short walk from the shops of the Via del Corso area. 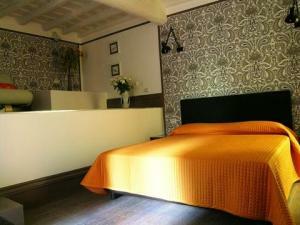 An affordable B&B in a private apartment (clean shared bathroom) close to the Metro not far from the centre of town. With a helpful host, it's a practical and friendly place to stay for budget travellers. Read my review.